Plymouth Citybus has launched a major new initiative to encourage children to safely use school and scheduled bus services in the region. The Dennis Dart School Safety Bus Project is based on a children’s book Dennis Dart Goes To School, written by the bus company’s Marketing Manager Sylvia Bird. Using a dart single deck bus liveried as Dennis, schools in the city will be offered the opportunity for Dennis and his driver to visit. Free copies of the book will be issued to pupils who participate in the presentation that covers how to safely travel by bus. There will also be a competition to win a family travel ticket. To encourage more families to travel by bus, a discounted ticket offer will be made to all pupils within the especially created training packs. The project, funded entirely by the Go Ahead Group owned Plymouth Citybus, has been well received by schools in the region. Pupils from class 1D at the Riverside Community Primary School, St Budeaux in Plymouth, were the first participate in the project. With Teacher Jenny Dibben, they joined in the safety quiz before enjoying a short ride on Dennis Dart. A colouring competition was issued to each of the 5 year olds and yoyos and stickers as part of the package. School tours of the bus depot will also be arranged to see behind the scenes and see some of the vehicles which inspired the characters in the book. 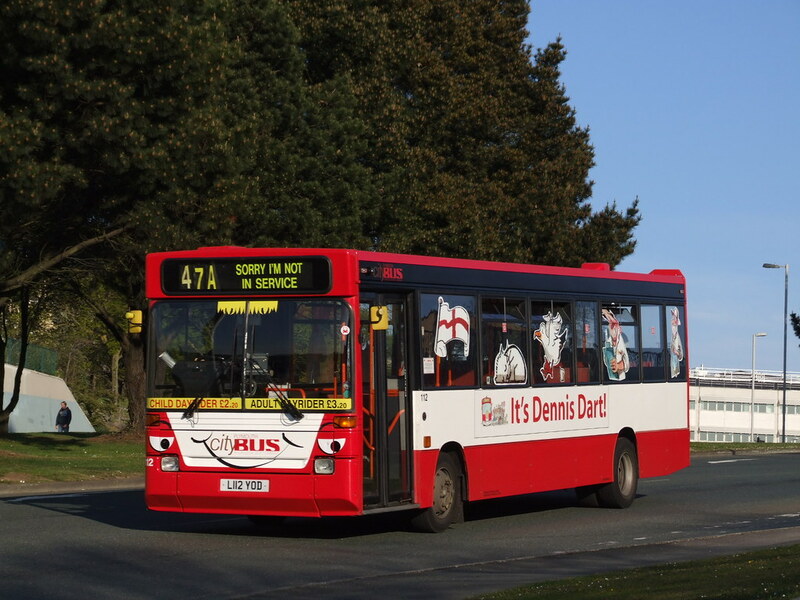 The information and book for the Dennis Dart School Safety Project will be available at Waterstones in Drake Circus, Plymouth between 1100 and 1400 on Saturday 1 May. Time was...: Busing getting a bit hot under the collar? 19:23 Citybus sylv is on with sparksy tomorrow at 0715! Dennis loves Sylv. You can't really call them cheapskates. While it's unfortunate your son cannot get on, it would be of much less conveniece to others to use a low floor bus as "Dennis Dart" and keep a step entrance bus in daily public service.